By clicking on the Button, I confirm my agreement to the General Terms of Service and my consent to Anderson Kia, car dealers and lenders obtaining credit reports about me to facilitate my application for a car loan. At Anderson Kia, we know that your credit does not define you. If you work or have a qualified co-signer, we can get you pre-approved for a vehicle without issue. Thanks to our Credit Rebuilding Program, you get to drive while building up your credit. If You Work, You're Pre-Approved. Getting a Car Loan doesn't have to be hard. Fill out the above form and tell us what you're looking for. Then, we'll work to get you exactly that. Copyright © 2018 Anderson Kia. All rights reserved. Welcome to the Anderson Kia. All trademarks reproduced in this website are owned by us. Unauthorized use of this website may give rise to a claim for damages and/or be a criminal offense. From time to time this website may also include links to other websites. These links are provided for your convenience to provide further information. They do not signify that we endorse the website(s). We have no responsibility for the content of the linked website(s).Your use of this website and any dispute arising out of such use of the website is subject to the laws of Ontario. Anderson Kia is committed to ensuring that your privacy is protected. Anderson Kia may change this policy from time to time by updating this page. You should check this page from time to time to ensure that you are happy with any changes. This policy is effective from November 14, 2018. Internal record keeping. We may use the information we collect to improve our products and services. We may periodically send promotional emails about new products, special offers or other information which we think you may find interesting using the email address which you have provided. We use traffic log cookies to identify when you signed up to our website form. This helps us analyze data about our website traffic and improve our website in order to tailor it to customer needs. The security and integrity of our customers’ personal information is important to us. We take every reasonable measure necessary to protect the privacy of our customers while providing the high level of communication services they expect. We do not guarantee the product or service of any of the persons or organizations to whom we provide your Personal Information or that any person or organization will offer or provide you products or services at any particular rate or at all. Anderson Kia has in place privacy and security practices to safeguard our customers’ personal information. These practices are reviewed, and if necessary revised, on a regular basis. Additionally, Anderson Kia employees or affiliates receive privacy training and must comply with Anderson Kia privacy practices as a condition of employment or partnership. We collect Personal Information. “Personal Information” means the information you provide to us through this website and, without limitation, includes your name, address, date of birth, contact information, and employment history. 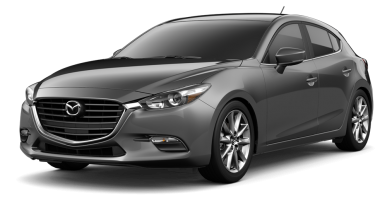 Personal information collected by Anderson Kia is information about an identifiable individual that may include such information as your name, e-mail address, mailing address, phone number, financial information, birth date and any recorded complaints. Anderson Kia does not use or disclose personal information for purposes other than those for which it was collected, except with the consent of the individual or as required by law. Anderson Kia retains personal information only as long as necessary for the fulfillment of those purposes; informs customers of the existence, use and disclosure of their personal information upon request and gives them access to their information; ensures that customer information is accurate, complete and up-to-date. Customers can challenge the accuracy and completeness of the information and request amendments as appropriate. 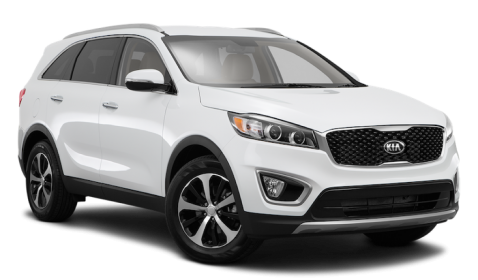 Anderson Kia may share your information with other affiliate companies or their agents and/or other authorized dealers, in order to offer customers products and services that they may find attractive. Notices on sharing information are contained in each company’s application forms, invoices and web sites. If customers do not want to be marketed with these products and services, they can contact us by email. Applications will be shared with partners as well as third party financing entities. By submitting this form, you authorize credit and employment history checks only if necessary, and to provide and/or obtain information about past credit experiences. Consent to receive information, follow-up communication, & disclosures related to this credit application and any other credit transaction from you, your affiliates, agents and service providers, in writing, verbally, or electronically. Further; by submitting this application You certify that each of the statements made and answers given in this credit application are true and correct and are made for the purpose of inducing any financial services. You authorize the obtaining of consumer report(s) to be used in evaluating your application, credit inquiry/ multiple credit inquiries, and the obtaining and exchanging of credit information from and with other creditors, dealers, and consumer reporting agencies.